Sometimes considered under the name of “slow cinema” or “the new silent cinema” […] post-cinematic atavism is not limited to art-house or independent films. Indeed three of the nominees for Best Picture at the 2012 Academy Awards—HUGO (Martin Scorsese, 2011), THE TREE OF LIFE (Terrence Malick, 2011), and the winning film THE ARTIST (Michel Hazanavicius, 2011)—participated in this renewed attention to earlier cinematic moments and aesthetics. Each of these films, as well as Lars von Trier’s 2011 MELANCHOLIA, which I will address in detail in this essay, makes stylistic, aesthetic, and cinematic choices that exhibit or display a kind of atavism—a reversion to or reemergence of an earlier cinematic moment through the anachronistic, atavistic expression in the present of prior, even outmoded cinematic traits that otherwise appear to have become extinct in the proliferation of hypermediated, digital, post-cinematic technical and aesthetic formats.As such these films can be seen to mark an increasing recognition in Hollywood of a fundamental shift, the ultimate extinction or disappearance of the platform of celluloid film and a consequent fear of the potential decentering of the film industry from the US across the globe as new digital film technologies allow for the inexpensive production and distribution of feature films […]. [M]y argument […] sees speculative realism as one way of looking at how the question of death, human loss, and suffering, which finds alternative formulations in theology and humanist philosophy (in the traditional “nature versus grace” dichotomy), gets mapped onto a third, cosmological perspective – perhaps subliminally – in [three films –Terrence Malick’s THE TREE OF LIFE (2011), Benh Zeitlin’s BEASTS OF THE SOUTHERN WILD (2012), and Patricio Guzmán’s NOSTALGIA FOR THE LIGHT (2010) –], making cinema a venue in which the tensions between these three perspectives get acted out. 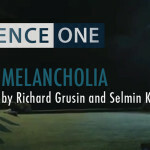 We are delighted to announce the publication of two further individual responses — by Richard Grusin and Selmin Kara — to Steven Shaviro’s magisterial article “MELANCHOLIA, Or The Romantic Anti-Sublime”, SEQUENCE 1.1 (2012), the launch essay for PLANET MELANCHOLIA, the inaugural issue of SEQUENCE, REFRAME‘s experimental, peer-reviewed, media, film and music studies serial publication. Following Rupert Read’s engagement with Shaviro in SEQUENCE 1.2, which offered a personal, affective (and deeply philosophical) account of Lars von Trier’s 2011 film Melancholia, in their very fine, equally philosophically-informed, contributions Grusin and Kara turn their detailed attention to the questions of “post-cinematic atavism” and “primordigitality” raised by the hybrid analog/digital technical and aesthetic contexts of a number of recent films, including Melancholia as well as Michel Hazanavicius’s The Artist (2011), Martin Scorsese’s Hugo (2011), Terrence Malick’s The Tree of Life (2011), Benh Zeitlin’s Beasts of the Southern Wild (2012), and Patricio Guzmán’s Nostalgia for the Light (2010) . We continue to invite further responses to Shaviro’s article as well as to those which have followed it in the SEQUENCE One thread, and also to the second issue of SEQUENCE: ‘We Need to Talk about the Maternal Melodrama‘.